When the Master Taster and I were in Italy, Susan’s asked if we would bring back a bottle of “authentic” Limoncello. We were happy to oblige! 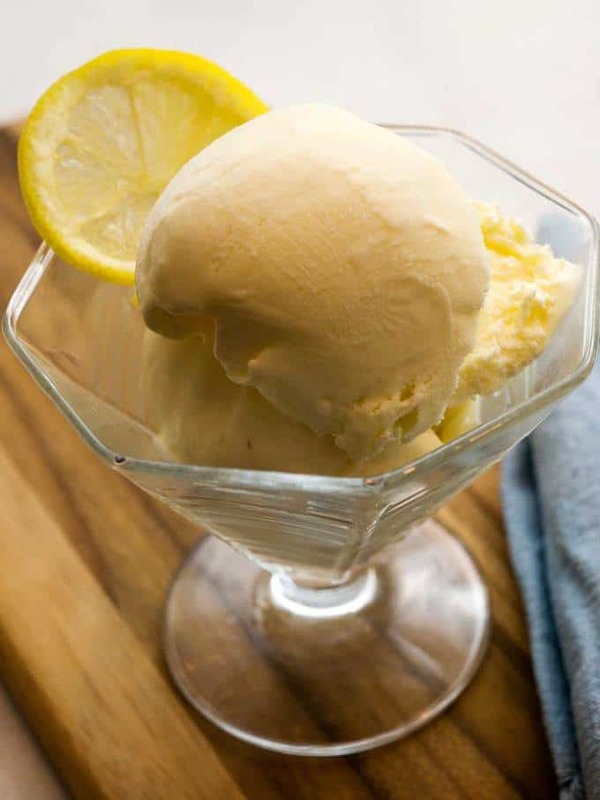 After the success of the Strawberry Ice Cream, Susan suggested that I should try my hand at making Limoncello Ice Cream. She provided the Limoncello! 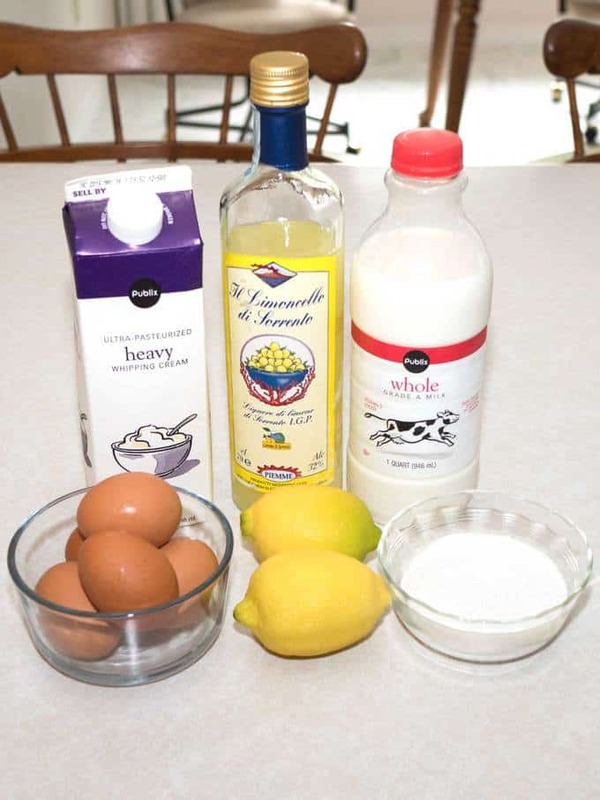 I used the following ingredients: Egg yolks, sugar, heavy cream, whole milk, Limoncello, lemon juice, and lemon zest. To start, I added the sugar to the egg yolks, and whisked them together until the sugar was well incorporated. Then, I added the cream and milk to a medium saucepan, and heated it to a simmer over medium heat. Next, I added several ladles of the heated milk/cream to the egg and sugar mixture to temper the eggs. The reason for doing this was to prevent the eggs from scrambling as they were heated. I returned the tempered egg mixture to the heated cream and milk, and added the Limoncello, lemon juice, and lemon zest. Then, I heated the mixture over medium heat until it thickened and reached between 175° F and 180° F. During this time, I stirred the mixture frequently. I poured the custard mixture through a fine mesh wire strainer to remove the lemon zest and any bits of egg that had coagulated. I covered the bowl with plastic wrap, and refrigerated it until it reached a temperature below 40° F.
When the custard had cooled down, I poured it into the running ice cream maker and sat back while the ice cream maker did its job. After about 20 minutes, the ice cream was perfectly processed. I transferred the ice cream to a container, smoothed it out, and put it in the freezer to further harden. Talk about good! 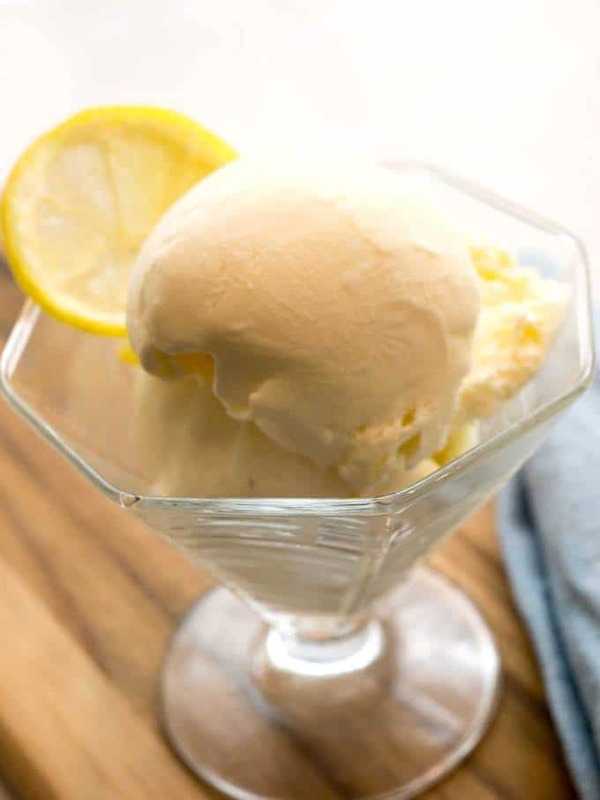 The ice cream was velvety smooth, and tasted like frozen French Lemon Cream. Yum! Add the egg yolks and sugar to a bowl; whisk until well combined. Set aside. 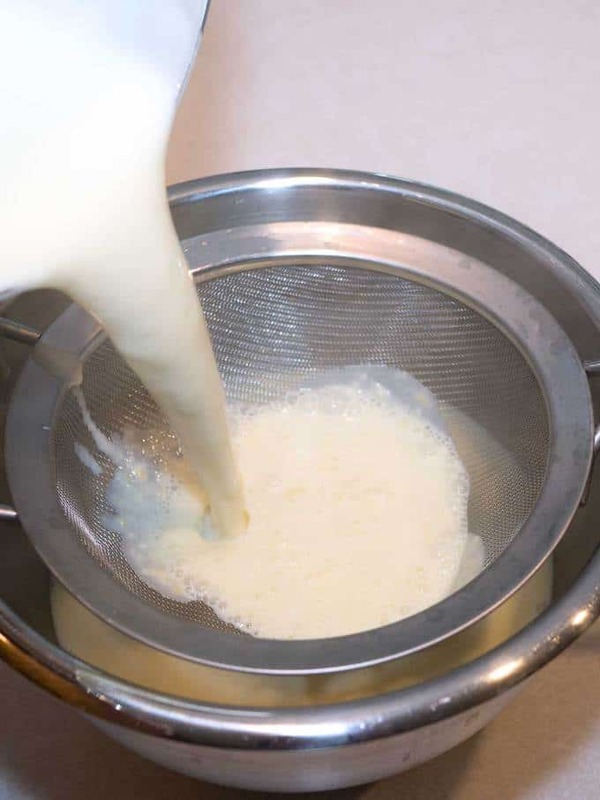 Heat the cream and milk in a medium sized saucepan over medium heat. Bring to a simmer and reduce the heat. 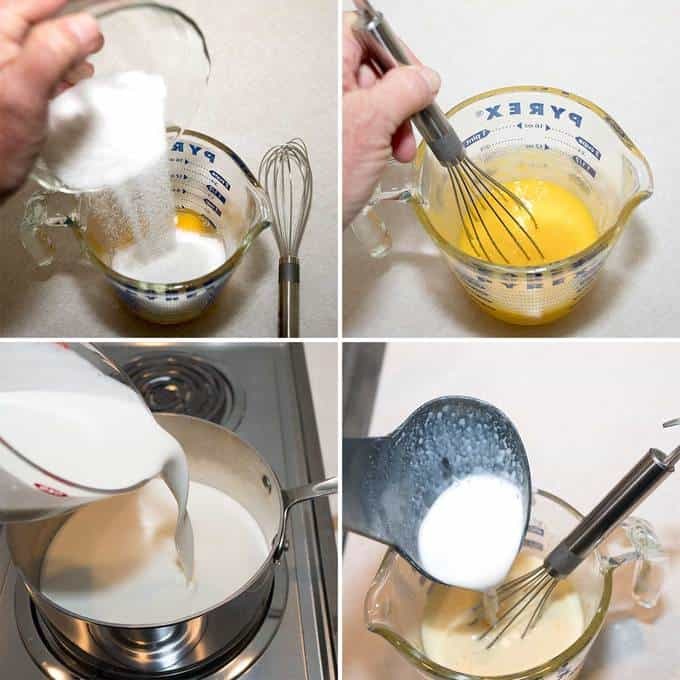 Temper the eggs by adding small amounts of the heated cream mixture and whisking well after additions, until about 3/4 cup of the cream mixture has been added. Return the egg/cream mixture to the saucepan. Add the Limoncello, lemon juice, and lemon zest. Stir to combine. 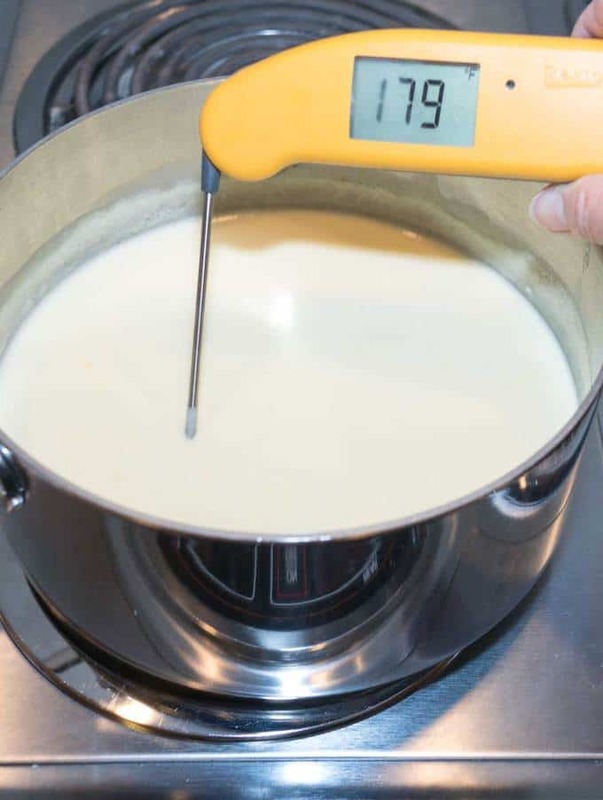 Heat over medium heat, stirring frequently until the mixture thickens somewhat, coats the back of a spoon, and reaches between 175° F and 180° F.
Pour the mixture into a fine mesh wire strainer; allow to sit at room temperature for about 30 minutes. Cover with plastic wrap and refrigerate for at least 4 hours, or until the mixture reaches 40° F or lower. 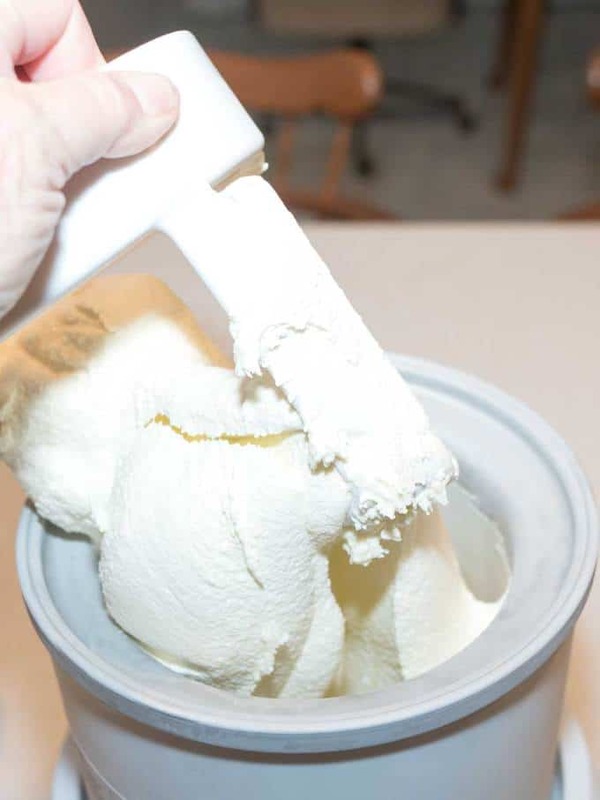 Remove from refrigerator and pour into the ice cream maker, and process according to manufacturer's directions, about 20 to 30 minutes.Transfer to container. Serve as is for soft serve, or place in freezer and allow the ice cream to harden for several hours. This looks divine! I love fresh light flavors like this, I've been thinking about getting an ice cream machine- I just might have to do that soon!